A COUNTDOWN clock appeared on Taylor Swift’s website at midnight ET Saturday morning, suggesting that something is imminent in 13 days (as of that moment). Thirteen is reportedly the singer’s lucky number. 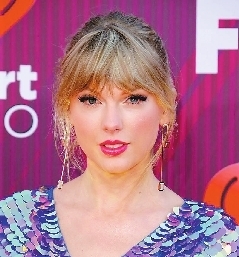 Adding to the mystery, Swift also changed her Twitter profile picture to the same pearly background on her website and posted a photo of a pink heart made up of sparkling gems. Her fans guess this signifies the coming of new music April 26. This isn’t the first time Swift has sent fans into a frenzy. She wiped her social media accounts for three days in 2017 before coming back online with a 10-second video clip of a snake. Two days after the snake clip, she announced the album that was “Reputation.” The album’s lead single “Look What You Made Me Do” was dropped the day after that. But while new music is a likely theory, it could also be something else entirely. In an essay for Elle magazine titled “30 Things I Learned Before Turning 30,” Swift shared her fondness for countdown clocks.